The facts of the initial fight, in which a young man was killed, have been entirely eclipsed by the politics of nationalism. During New Year celebrations in the Kazakh city of Karaganda, the country’s fourth largest city, a 23-year-old Kazakh man was killed in a bar fight. Three others were reportedly injured by knives in the brawl at the Ancient Rome cafe. The fight has been described as being between two groups of youths. According to RFE/RL, one of the groups comprised of ethnic Armenians, presumably the other of ethnic Kazakhs. In a January 3 statement, the Karaganda police said three suspects — Torgom Malkhasian, Sokhak Malkhasian, and Qaiyr Nadyrbekov — had been arrested in connection with the incident and that a fourth, Narek Gururian, remained at large. A man identifying himself as Gururian posted a video on Telegram on January 7 admitting involvement in the fight but denying having killed anyone. “I am ready to give myself in to the authorities of the Republic of Kazakhstan, and ask the authorities to provide me with security and carry out a transparent investigation. I am ready to bear responsibility for what I did but will not take somebody’s sin on myself. I am not a murderer,” he said. Armenian media meanwhile reported that the country’s acting Foreign Minister Zohrab Mnatsakanyan held a phone call with his Kazakh counterpart, newly appointed Foreign Minister Beibut Atamkulov, on January 7. The call reportedly covered bilateral relations and the two ministers specifically discussed the Karaganda incident. The Armenian Foreign Ministry, in a statement published also on January 7, cautioned people against spreading ”unverified information” that manipulated public opinion by imparting an interethnic tone to what the Armenian government stresses was a criminal incident on domestic soil. Kazakh authorities have similarly pointed to social media postings as spreading inaccurate information. For Kazakhstan, which often touts its multiethnic composition and interethnic harmony on the international stage, the ethnic overtone of both the incident and the protest is worrisome. While the authorities of both Kazakhstan and Armenia have stressed that there was no interethnic dynamic to the New Year brawl, the protest demonstrates that no matter what Astana or Yerevan wish, there is now an ethnic tone to the matter. As Eurasianet’s Almaz Kumenov pointed out, “Nationalist-minded internet users have… called for justice and indulged in calls for reprisals against members of the Armenian community.” Kumenov cited reports of “overzealous and ill-informed attempts at score-settling” including a group going “from cafe to cafe in search of Armenians against whom to vent their fury” in Semey, a city in northern Kazakhstan. The facts of the initial bar fight, in which a young man was killed, have been entirely eclipsed by the politics of nationalism. Before and throughout the Soviet period, people from across the Eurasian region settled or, in some cases, were forcibly resettled in the territory of what is now independent Kazakhstan. Shortly before independence, in 1989, ethnic Kazakhs were not even a majority of the people in the republic named for them. Of a population of 16.4 million in 1989, only 39.7 percent were Kazakh (37.8 percent were Russian). In the years since independence Kazakhstan has simultaneously embraced its existing multiethnic nature, while also promoting Kazakh nationalism in various ways such as the promotion of the Kazakh language and the Oralman program calling on ethnic Kazakhs abroad to move to Kazakhstan. The dark side of nationalism or efforts to promote national pride is that groups outside the government’s control can abscond with the rhetoric and pervert it: It becomes less about celebrating (an inclusive Kazakhness or the Kazakh state writ large) and more about persecuting (anyone who isn’t ethnic Kazakh). Kazakhstan takes seriously efforts to “incite hatred” against different ethnic groups, sometimes to the extreme. In the past few years, prosecutions have focused on individuals insulting Kazakhs and such cases have been seen through the lens of Russia-Kazakh relations in light of the Ukraine conflict and Crimea annexation. In March 2015, a woman was charged with inciting hatred for using a slur for Kazakhs in a post suggesting Kazakhstan should become part of Russia. 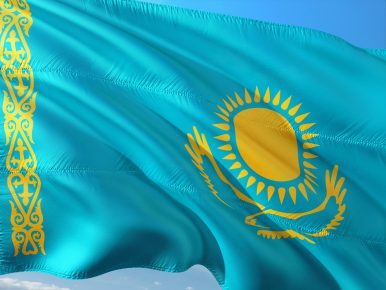 In November 2017, a man in northern Kazakhstan was given a two year sentence for using “negative words insulting ethnic Kazakhs” and citing material that “distorts historic facts” in an online post. The previous year, in December 2016, a man was jailed on incitement charges for a social media post insulting Russian President Vladimir Putin. While the incitement law has been criticized for its broadness, its existence underscores Astana’s sensitivity. Astana and Yerevan have made clear their intentions to manage this situation carefully, mindful of how emotionally charged the issue at hand can become.